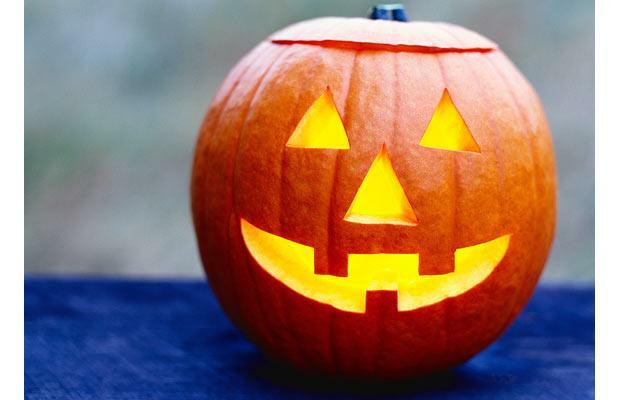 ﻿﻿﻿﻿Every single year, I force myself to wait until the day before Halloween to buy candy for the trick-or-treaters. Why is that? It has nothing to do with procrastination, just with the fact that I eat it all I can't exactly say no to a gigantic bag of candy sitting in my house. But that usually means that we get stuck with passing out the leftover candy that is still sitting on the shelf the day before Halloween, and so I thought I'd be a little bit smarter this year. Yesterday, I hit up the "buy one, get one free" candy sale at Publix on my lunch break. Big mistake. I ate four pieces in the half mile drive back to my office. And two more at my desk. And three more while sitting in traffic on my way home. Let's be honest, I have no self control when it comes to mini Kit Kat and Butterfinger bars. Ahh! Attack of the Halloween candy. I have to share my Halloween costume from last year. 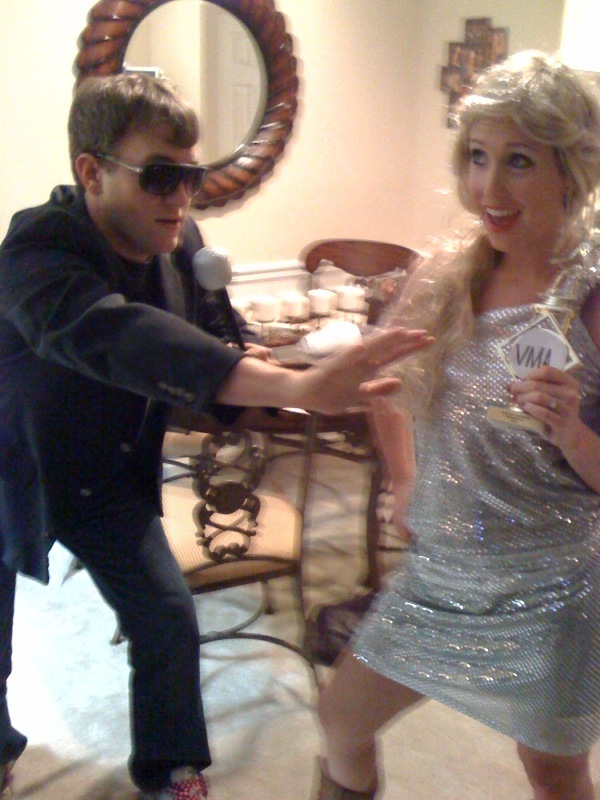 The big VMA scandal had just occured and so the hubby and I had to monopolize on the opportunity to argue over a Moon Man all night (did I say Moon Man? I mean an old soccer trophy!). Remember this? Well here we are, our own Kanye West and Taylor Swift. The picture's a little blurry and you can't quite see our awesome Taylor cowboy boots and hot pink Kanye tennis shoes, but you get the drift. Remind me to never dye my hair blonde- that wig is horrendous on me! This year, we'll simply be dressing up in red and black as two University of Georgia fans at the UGA v. Florida football game in Jacksonville, Florida. I am so excited for a fun little weekend away. Go Dawgs! The hubby will definitely be wearing his game day shoes. Hilarious, right?! What are ya'll dressing up as for Halloween? That picture is priceless! Hilarious. We are still without costumes. Nothing like pulling it off in the eleventh hour. Have a good day. Love the costumes from last year! Have fun at the big game!! No costumes for us yet... I usually do it pretty last minute. DD is going to be a fairy (a recent obsession with tinker bell) and DS will be a police man just like his daddy. I might just be a tired momma! I am visiting you from Brenda at Cozy Litte House blog. She featured your blog on her Welcome Wagon post. I love what you are doing to your home. Hey there - I'm visiting from Brenda's Welcome Wagon. Lovely blog. You've done a lot to your new home and it is very pretty. Love the soft colors you've chosen. Funny! that you both dressed as Taylor and Kanye. I bet that was fun. Me - well it's just me and there are no kiddos to come by my house. Heck I know that kids don't come by my house and the past couple of years I bought candy thinking maybe this year - but then I eat it all too. I found you via Courtney from A Thoughtful Place, and I am so happy that I did! This is too cute! My birthday is the day after halloween so I'd always have halloween scavenger hunts for my birthday parties. I was a disney princess or ballerina every year when I was little. This year I'm just having a family get together so I'm not dressing up...no fun, I know! Happy (almost) Halloween! Hilarious costume last year! I'm not so fond of your choice this year though...you know we'll definitely be breaking out the orange and blue! Still, have fun at the game:) And congrats on the feature! Hi, found your blog through Courtney and am loving it. Your home is gorgeous. I'm your newest follower! I am so excited to be your 100th follower yahoooo! Anyways found you from Courtney's blog and I am so excited to follow you! Your home is stunning and I am drooling over your kitchen showing my husband what our kitchen could look like after we paint our cabinets white cause we have the same countertops! So thank you for helping me prove a point to my hubby that I am not feverishly saving our money for nothing! This has to be the longest comment I have ever written! No seriously. I can't stop eating all the Halloween candy either!! These new Hershey kisses with a melty center are going to do me in! 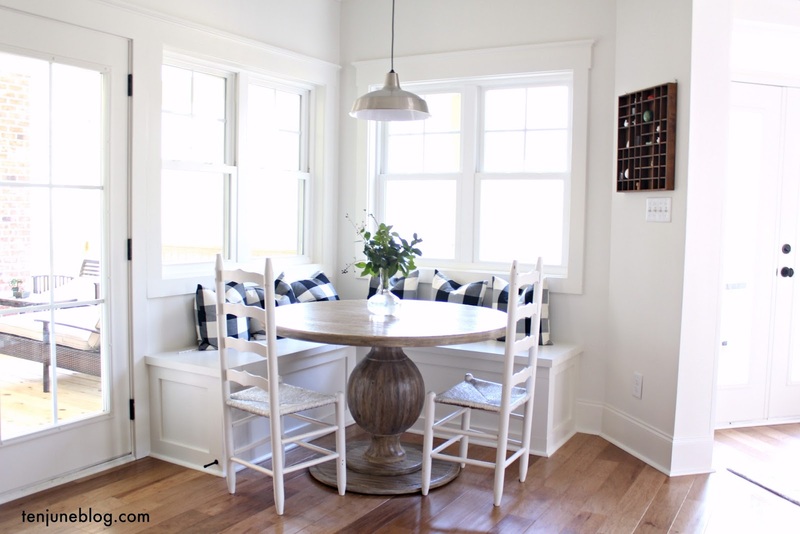 I saw your blog on Welcome Wagon and dropped by to say welcome to the neighborhood. 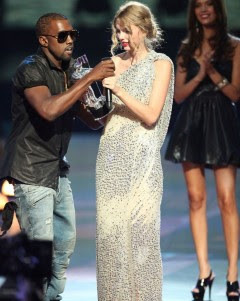 Oh and Taylor and Kanye are hilarious! Hi there I found you blog on Brenda's blog she mentioned to stop by. Love the layout of your blog. I'm widowed and my blog is about moving on in a positive manner while raising a young child. I definitely have to wait until the day before halloween to get our candy otherwise I will eat it too. p.s LOVE the shoes. Go Dawgs! !